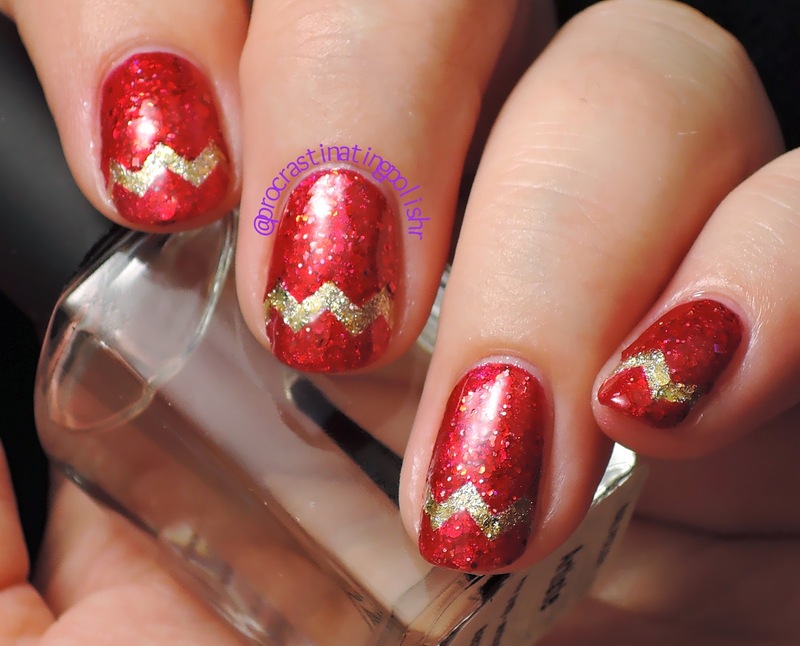 I've been a bit swatch crazy lately with all the wonderful Xmas collections coming out, but I did sneak in some nail art for this weeks Pick n Mix challenge. 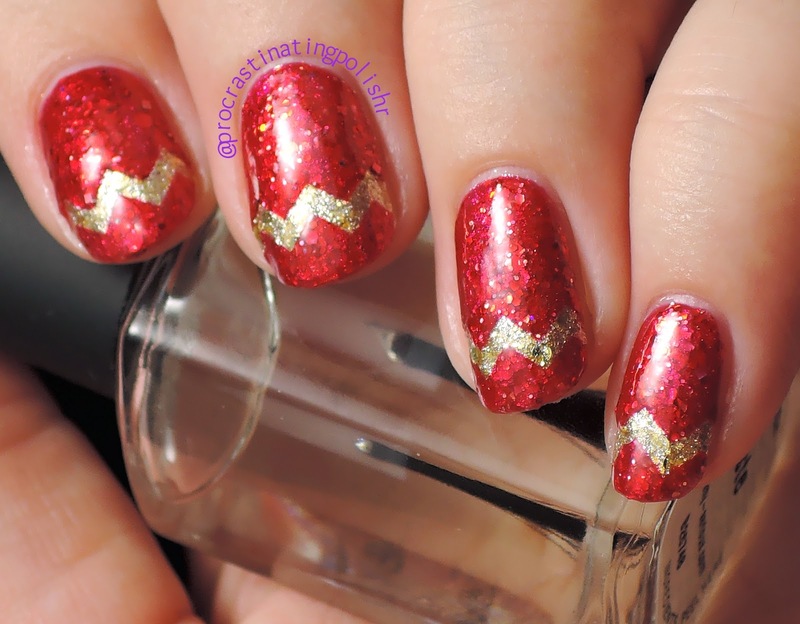 Prompts for this week were Red & Gold and Chevrons. 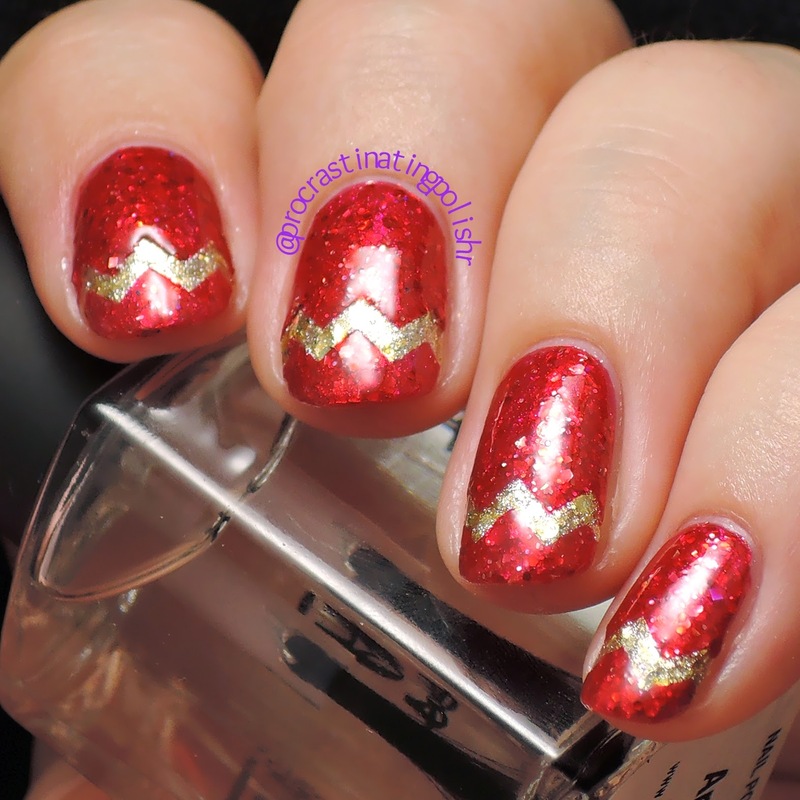 I used Golden Snitch from Alanna Renee as the base gold, then stuck on some small chevron nail vinyls to break up the nails like a french tip. I then did two coats of Two Birds Lacquer Waratah, a beautiful red jelly with gold flakes. I was so impressed with how striking the result was! The absolute best part of this is the complete lack of streaks thanks to my new miracle top coat - Artiste from Pretty Serious. It was formulated specifically for nail art to reduce streaking and I can attest (as will every blogger I've seen use it so far) that it DOES. NOT. BUDGE. I waited a minute or two before lightly brushing it on and it was like nothing else I've used. It has a noticeably different consistency to a normal top coat, but it applies exactly the same. Even when I got game and used a bit more pressure everything stayed in place. I'm in absolute awe and I can't wait to do some more striping tape/vinyl manis knowing they won't be ruined by top coat. After Artiste I did a coat of glossy fast dry top coat for a perfect finish. your nails look so lovely!